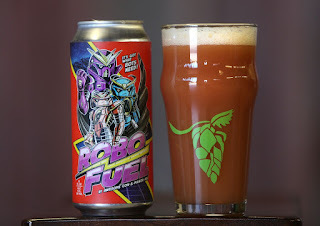 Manor Hill Brewery "Robo Fuel"
Guests at the sixth annual Awesome Con by LeftField Media, the Mid-Atlantic’s premier pop culture convention, can expand their minds and whet their appetites with exciting culinary-centric programming at the con from March 30 - April 1. 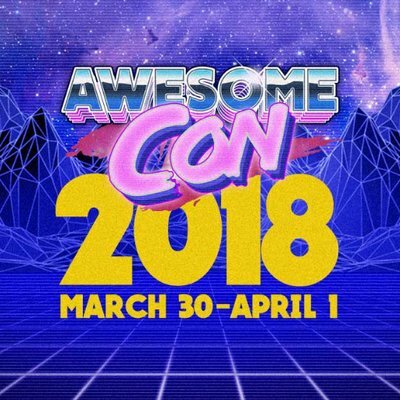 Attendees can now visit www.awesomecon.com/programming to view the full Awesome Con schedule and plan their experience before heading to the Walter E. Washington Convention Center for the show. Awesome Con is also proud to partner with Maryland brewery Manor Hill Brewery for the second year to debut “Robo Fuel,” a limited-release pale wheat ale brewed exclusively for the con and available to purchase at regional restaurants and retail stores starting Friday, March 23 while supplies last. Learn how researchers are working to master space cuisine, leading to the creation of space-distilled whisky, cheese fermented in microgravity, and the development of a hydrofuge, which can grow basil plants in an environment with no up or down. Join Smithsonian’s Beer Historian Theresa McCulla and Beer Writer Franz Lind, as well as Manor Hill Brewing’s Head Brewer Kurt Krol for a discussion exploring the radical changes occurring in the world of beer over the past few years. The past, present, and - of course - the untapped future of beer are all on the table during this dynamic panel. Pop culture and beer combine in perfect harmony for the second year in a row with Manor Hill Brewery’s Robo Fuel, an exclusive pale wheat ale brewed specially to commemorate the annual return of Awesome Con. Manor Hill Brewery’s commitment to quality and creativity echoes the high-level artistry on display at Awesome Con, with great care taken to create the perfect companion beer. Robo Fuel will be available starting Friday, March 23 at select Washington, DC and Southern Maryland restaurants and retail stores while supplies last. Both beer aficionados and convention-goers will note Robo Fuel’s fruity flavor profile balanced with a citrus tang and sweetened with boysenberry, soursop and tangerine. The addition of Citra and Azacca hops offers an approachable profile, perfect for warming spring weather. For more information about Awesome Con and to get tickets, please visit www.awesomecon.com. For the latest news and updates, follow Awesome Con on Facebook at www.facebook.com/AwesomeConDC. Awesome Con is the biggest annual comic and pop culture convention in Washington, DC, attracting over 50,000 attendees in 2016. 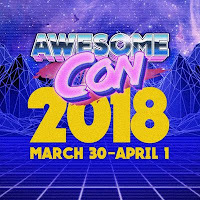 Awesome Con celebrates all aspects of geekdom and pop culture with a wide assortment of engaging events, comic books, collectibles, toys, games, original art, cosplay and more. Awesome Con is presented in partnership with LeftField Media, an event organization company also responsible for Play Fair, Anime NYC, Rose City Comic Con, the Five Points Festival, and more.